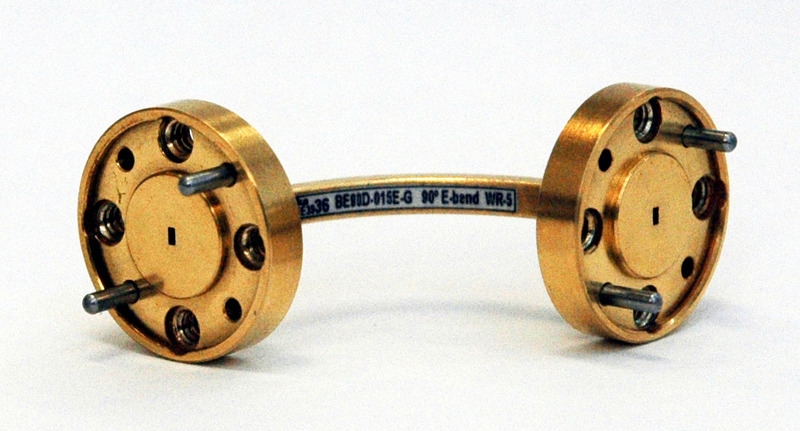 E-Plane Bends are essential parts of every waveguide systems. E-Plane formed bends are available with angles of 15°, 30°, 45°, 90°. Maximum VSWR is 1.1. The sizes and combinations are available on request. 90°, 45°, 30°, 15°, (and other). 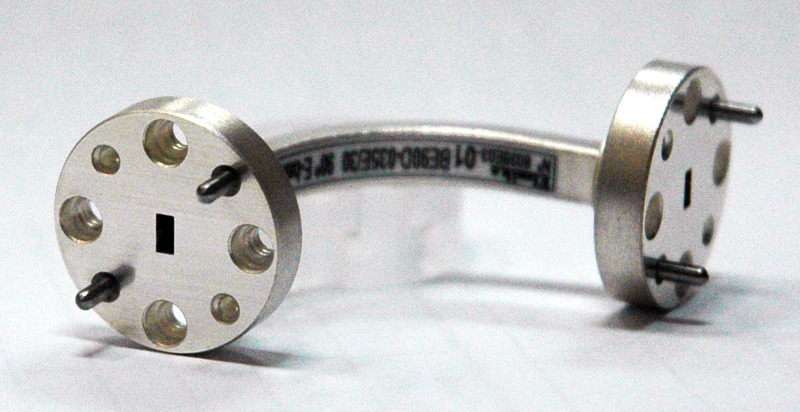 E-Plane Bend for 33 - 50 GHz frequency range, 50mm length, 90° angle, silver plated.